Tag UR It! Inc. has so many things to be thankful for this Thanksgiving! …Including PIE! Easy as Pie, Pie Recipes! 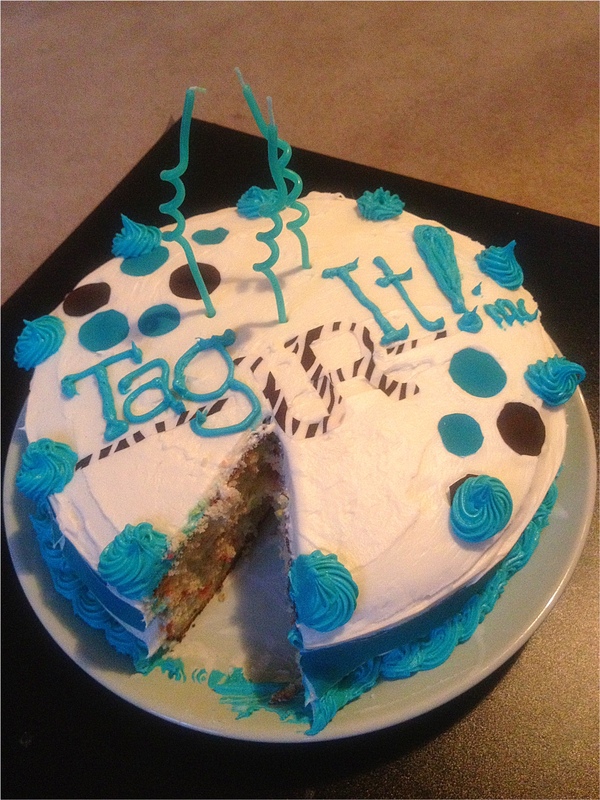 The Tag Team is very thankful for all the amazing things that have happened for Tag UR It! inc. over the last year! We have all been busy engraving, making name tags, and putting together recognition awards everyday! Business is booming, and the entire Tag Team truly enjoy coming to work each day!! 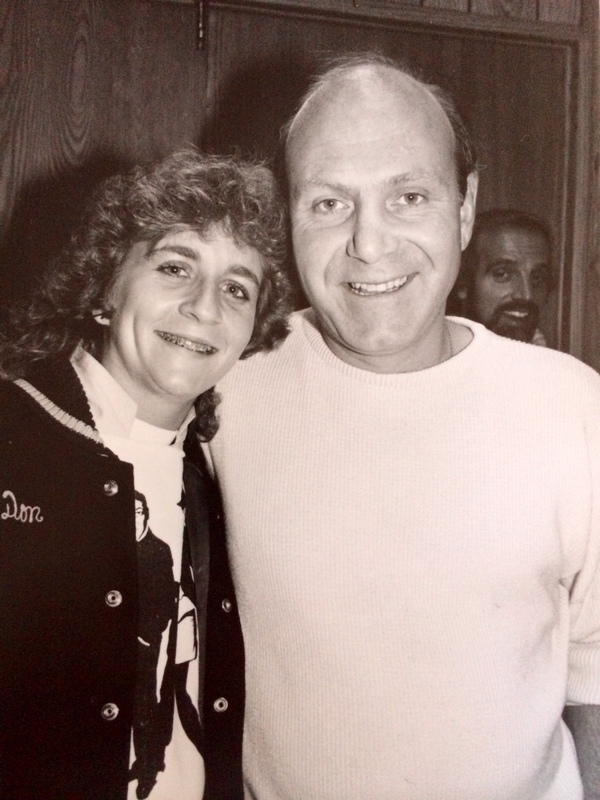 Of course Thanksgiving is a time of giving thanks for all we have in our lives. Its a time to spend with friends and family. It is also a time to enjoy some amazing food!! This year, its all about the PIE!! Sometimes, simple is best! 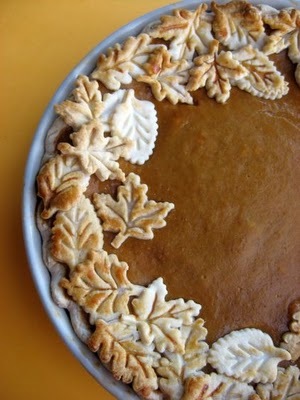 I will be making some simple, traditional Thanksgiving pies to brings to dinner this year! When I think of fall deserts, I immediately think pumpkin pie, apple pie, and pecan pie! I’m all for an easy traditional pumpkin pie! I’ll be making a version of Pillsbury’s Easy Pumpkin Pie this year! 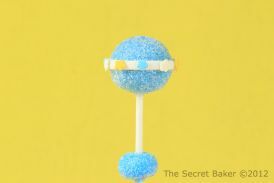 The recipe is so simple and it tastes amazing! I always believe you eat with your eyes first, so a beautiful pie is just as important as how it tastes! This year, I am going to have some fun with pie dough! Nothing says November like some festive fall leaves! 1. Heat oven to 425°F. In large bowl, mix filling ingredients. Pour into pie crust. 2. Bake 15 minutes. Reduce oven temperature to 350°F; bake 40 to 50 minutes longer or until knife inserted near center comes out clean. Cool 2 hours. Serve or refrigerate until serving time. Store in refrigerator. 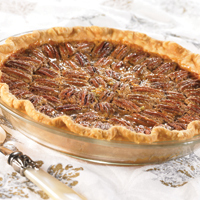 I also love a classic pecan pie! Growing up, the only pecan pie I knew and loved was the recipe from the back of the Karo Syrup bottle. 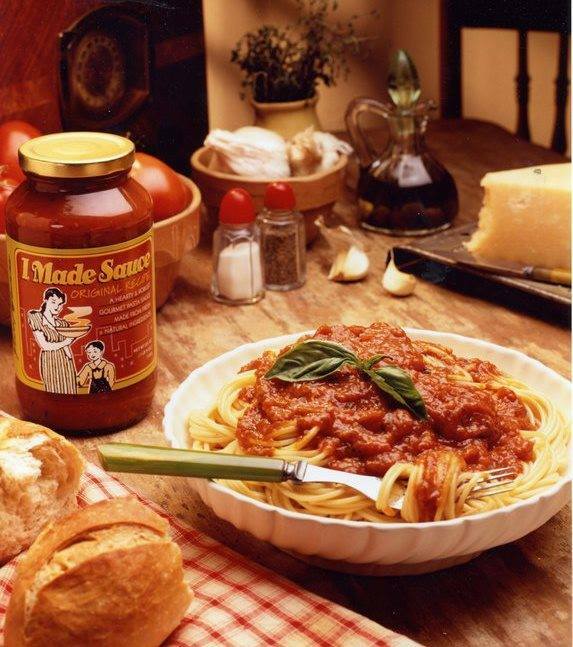 To this day, I use a variation of that recipe to make a simple, traditional favorite!! 3. Bake on center rack of oven for 60 to 70 minutes (see tips for doneness, below). Cool for 2 hours on wire rack before serving. I am just as much of a purist when it comes to apple pie! I love the look of a golden brown lattice topped apple pie! 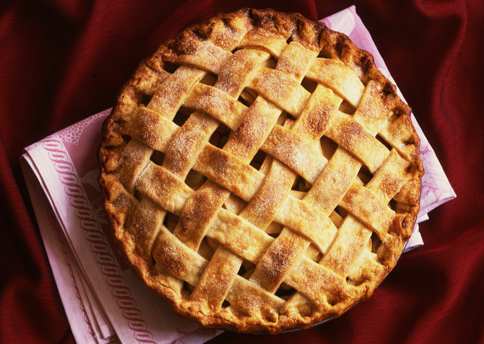 Last year, Catheryn made a beautiful apple pie with a lattice top and cut pie crust fall leaves over the top of the pie! I can’t wait to see what she is able to do this year! My apple pie recipe is pretty traditional with a few extra little additions that I always remember my grandmother adding to her apple pie! 1.Heat oven to 425°F. Place 1 pie crust in ungreased 9-inch glass pie plate. Press firmly against side and bottom. 2. In large bowl, gently mix filling ingredients (except those with **); spoon into crust-lined pie plate. 3. Roll out second dough disk on floured surface. Cut into twelve 1-inch-wide strips. Arrange 6 strips across pie. Form lattice by arranging 6 strips diagonally across first strips. Gently press ends into crust edges. 4. Brush lattice with egg wash and top with decorative pie crust leaves if you wish! 5. Bake pie 10 minutes. Reduce oven tempurature to 375°F. Continue baking until juices bubble thickly and crust is deep golden, covering edges with foil if browning too quickly, about 1 hour 20 minutes. Cool on rack 1 hour. Leave a link to your own Thanksgiving recipe blogs in our comments! 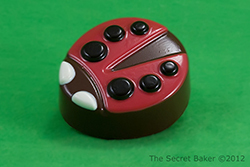 Comment and tell us about you own favorite Thanksgiving deserts!! Great Name Tag Sales! Its all good, like CHEESECAKE! This month, Tag UR It! Inc. has quadrupled its sales compared to the sales of July 2011! People really do love our high quality products at great low prices! …. And you know what?? Its all good, like cheesecake! OK, so I will be the first to admit that this blog post has nothing to do with name tags, engraving, recognition awards, or anything else Tag UR It! Inc. is well known for…. But here is a little known fact about me, Sara, Tag UR It! Inc.’s Director of Sales and Marketing. I LOVE cheesecake! When I realized that today was Nation Cheesecake Day, I couldn’t help but share a few of my favorite takes on cheesecake with the our wonderful blog readers! Here are a few of my favorite variations of your classic cheesecake! Cheesecake Stuffed Strawberries: What could be better than these little bites of heaven!! 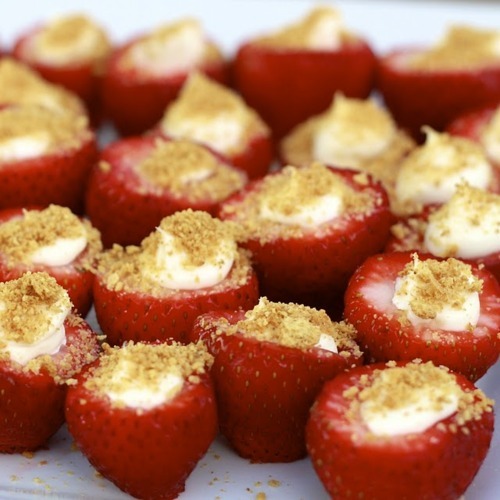 A fresh sweet strawberry is a delectable dessert all on its own, but adding a cheesecake filling and graham cracker crumble makes for an irresistible bite sized treat! Red Velvet Cheesecake: Red Velvet has made a come back and is the hottest dessert out there right now! 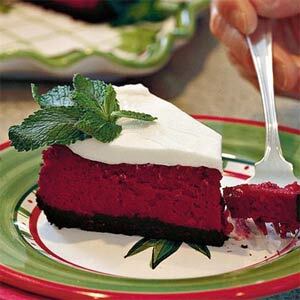 A perfect combination of rich chocolate tones in the red velvet, the slight tang of buttermilk, and a perfect classic cheesecake layer, this Red Velvet Cheesecake hits all the right notes! Cheesecake Brownies: Now this is a decadent dessert! 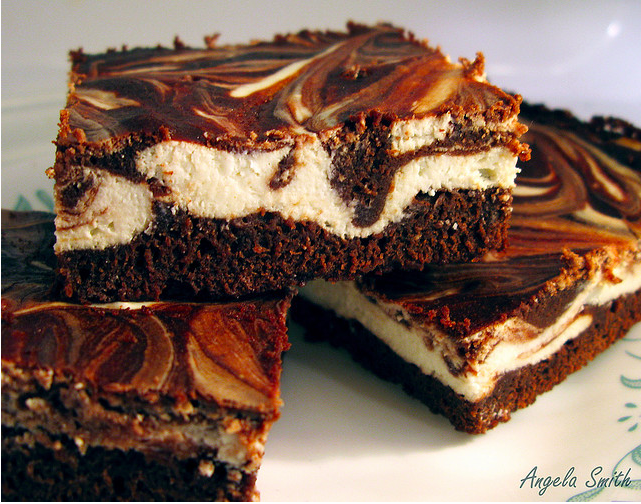 A gorgeous swirl of creamy cheesecake through rich fudge chocolate brownies. 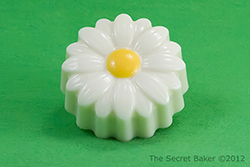 I cant imagine a pan of these lasting very long around me!! I can almost smell the amazing aroma of sweet cheesecake and chocolate just looking at this photo! 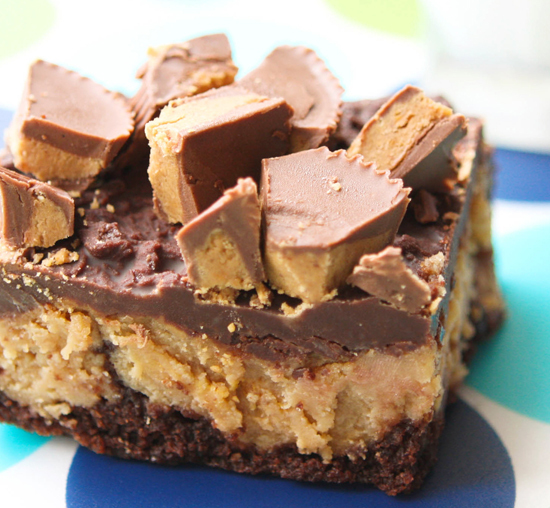 Reese’s Peanut Butter Cheesecake Squares: Who doesn’t love the combination of chocolate and peanut butter?!? 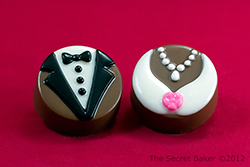 Now add a little cheesecake into the mix, and you have yourself a fabulous trio of flavors! 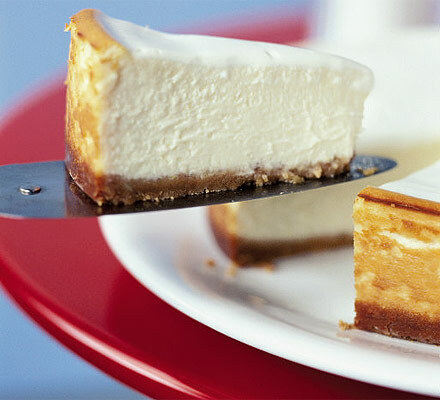 Classic New York Style Cheesecake:Last, but never ever least, is a classic New York style cheesecake. I love all takes on cheesecake, but the classic will always be a winner with me. Add a few strawberries on top and I am in heaven! I tasted me first slice of cheesecake in college and could not believe it took me that long to discover the incredible treasure that is cheesecake! 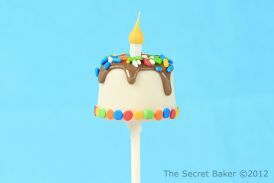 It will forever be my favorite dessert! It will forever by my motto in life, because life sure is great, just like cheesecake!! Happy National Cheesecake Day everyone! Have my cake, and eat it too! When I see a product I haven’t seen before, I just have to try it! Today I noticed Duff’s cake decorating supplies at Michael’s Crafts. Of course I was drawn to the beautiful teal colored cake tattoos and icing immediately! Not only is teal the Tag UR It! inc. color, it happens to be my favorite color as well! 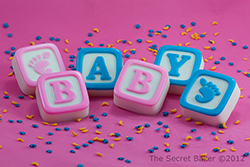 Long story short… I played with fun colored icing and decorated a cake! Duff’s cake tattoos are a super cool product and I had fun playing with my food!! I would definitely recommend Duff’s entire line of decorating products. Of course the Tag UR It! inc. logo was the perfect decoration for my masterpiece! And it tastes even more fabulous than it looks! !